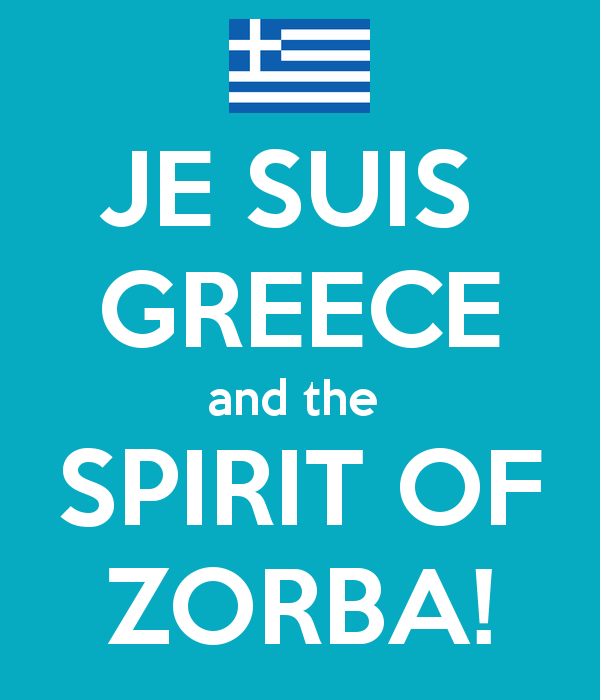 May the spirit of Greece never be broken. ..indeed, that man, David… I’m a former banker, but hopefully never behaved in the way the charlatans in charge have done for the last ten years… all the corporate biggies bailed out for billions, and the common populace in places like Greece are made to pay ultimately for the sins of the people supposedly running the world’s finances…shameful ! What an uplifting video, thanks for sharing Seumas! Really pilitis are the guilty what happens in many parts of the world… in Europe mainly Greece, a fantastic country, and my as well… Spain!!! It’s a shame that many people are robbing these countries without any punisment!!!!! I took Seumas’ advice and stopped to watch the video – it made me grin and left me with a lump in my throat at the thought of what those folks are going through right now. If you haven’t yet seen it, take a look – it’s worth it… Oppa!